Lulu is a six-year-old Rottweiler cross rescue who lives with the Devine family. 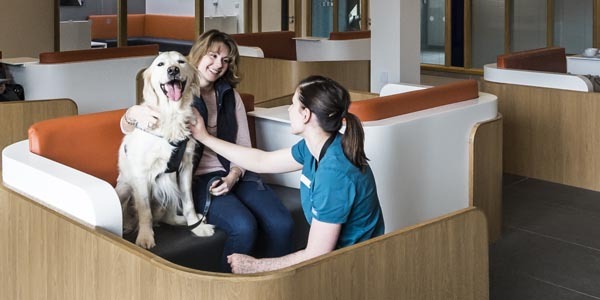 She was referred to Fitzpatrick Referrals by Dr Emily Capes at Park Vets in Sidcup as a weekend emergency in February 2016 with non-ambulatory tetraplegia and was admitted by Dr Anna Tauro, Resident in Neurology (ECVN). Given the presentation, there was a high suspicion that she was suffering from a form of spinal cord compression in the neck called cervical spondylomyelopathy (CSM), and in this case most likely associated with bony compression often referred to as “osseous-associated wobbler syndrome” (OAWS). 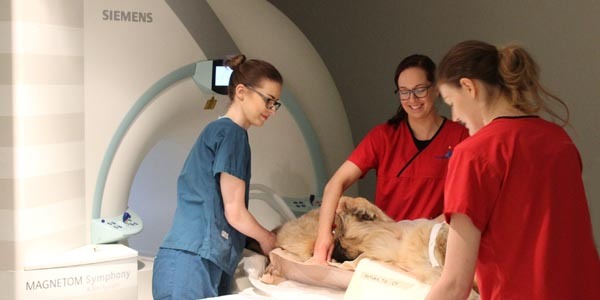 Lulu was anaesthetised and transferred to the Imaging department for Magnetic Resonance Imaging (MRI) which was carried out on our Siemens 1.5 Tesla MRI scanner. MRI is the gold standard modality for looking at spinal cord and nerve compression. This was followed by a CT scan on our Toshiba 160 slice Aquilion Prime CT scanner to allow for fine-detail viewing of the bony structures. Fitzpatrick Referrals’ Imaging team specialise in obtaining dynamic MRI sequences with wobbler cases. Dynamic sequences allow us to understand how the changes to the patient’s cervical vertebrae interact with the spinal cord, as the patient moves its neck through flexion and extension. In addition, the traction sequences allow us to understand if the spinal cord compression is reduced when the disc space is increased, which helps us to decide which surgical procedure may be most appropriate to treat the disease. Lulu’s MRI revealed dorsal, lateral and central spinal cord compression at C5-6 and C6-7 due to hypertrophy of the ligamentum flavum, hypertrophy of the synovium and bone of the articular facets and annular disc protrusion. With the MRI making it clear that Lulu was likely facing surgery to help her walk again, a CT scan of the cervical spine was carried out to allow accurate surgical planning. 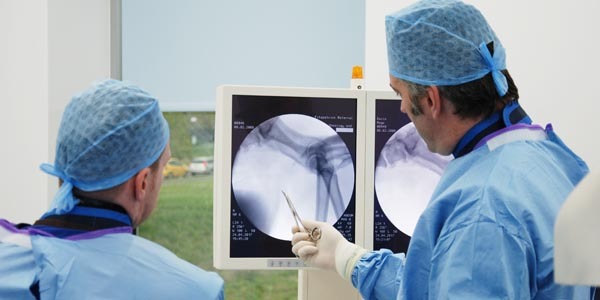 Fitzpatrick Referrals aims to tailor the treatment it provides to meet the specific needs of the patient. Given Lulu’s size and usually lively nature, it was felt that a custom-made implant system matching the exact dimensions of the bones in her neck would provide the best chance of a successful outcome. Anna sought the assistance of Professor Noel Fitzpatrick for surgical planning and execution. 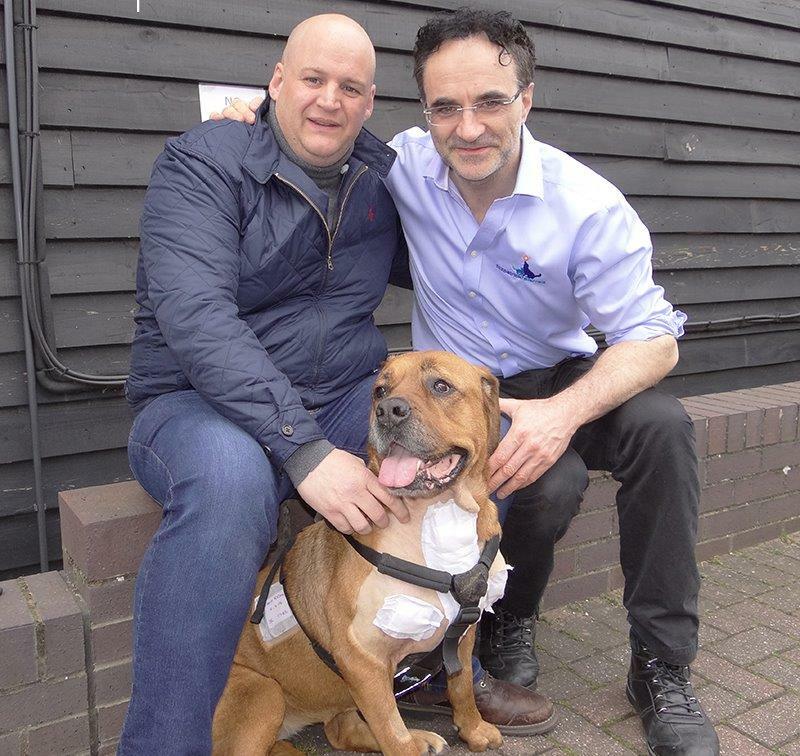 Noel is a world-leader in instrumented spinal surgery and for cases like this has developed a system of 3D printed distraction-fusion implants unique to Fitzpatrick Referrals. Lulu’s images were immediately uploaded to our engineering department based in Hemel Hempstead and the manufacture of custom-made 3D printed implants commenced within 24 hours. The implants arrived at Fitzpatrick Referrals within a few days and Lulu was prepared for surgery. A ventral approach to the cervical spine was achieved and titanium spacer devices were placed into the C5-C6 and C6-C7 vertebral disc spaces to push the vertebrae apart (FITS, Fitz Intervertebral Traction Screws). The spacer devices were linked using a 3D-printed custom linkage system of plates and rods screwed into the C5, C6 and C7 vertebrae (Cervical Fitzateur). Cancellous bone was harvested from both proximal humeri and placed between the three vertebrae to promote osseous union. Postoperative radiographs and CT scans revealed satisfactory alignment and stability. Three dimensional CT scan of the FITS-Fitzateur construct in situ postoperatively. Compression is no longer present at C5-6 and C6-7. Postoperative transverse CT scan showing how the FITS device englarges the spinal canal and the neuroforaminae at C5-6. The physiotherapy team mobilised Lulu 12 hours after surgery and got to work helping her gain confidence after surgery. She went from paralysed on all four legs to walking within two days. After three days, she had improved enough to be allowed home with analgesic medication for a few weeks. Six weeks postoperatively Lulu was recovering well; radiographs and CT scans revealed satisfactory progression of osseous union between all three vertebrae. 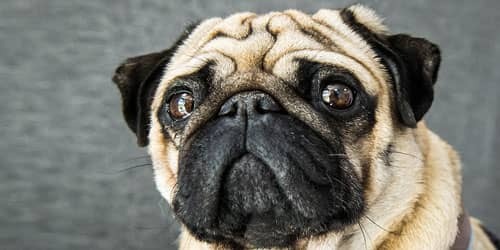 Lulu had mild proprioceptive deficits affecting both thoracic limbs, however she was mobilising without assistance and walking 20-30 minutes on-lead without any problems. Ten months postoperatively Lulu is continuing to do well and enjoying hour-long off-lead walks on a daily basis. Lulu is a testament to how the individual talents of a multidisciplinary team comprising clinical neurologists, radiographers, radiologists, medical engineers, veterinary nurses, physiotherapists and neuro-orthopaedic surgeons combined to save her life.